If you read the first part of this series, you should be familiar with all of the equipment you’re going to need. Now let’s talk about how to paddle board. These are fairly common on beginner boards, for example the Pelican Flow 106 is equipped with one large rubber fin. There are a few reasons why you’d want a single fin. First off, a large single fin is more cost effective than a thruster or quad setup. Further to that, a single fin will also track quite well. More surface area means the board will encounter more resistance when it tries to move in any direction except straight. Another common configuration on starter boards is a single center fin with two smaller side bites. You can run this setup with or without the side fins. This is fairly common on entry level surf paddle boards. When you’re first starting out I recommend avoiding the fin configurations which don’t feature a large center fin like a thruster setup or a quad setup. Both of these will have equal sized fins which means they are a little bit better in the surf but they don’t track well and they do very poorly in choppy conditions. If you can, find a lake or a calm body of water. Place the board in shallow water. While holding onto the side of the rails pop your knees onto the board. Once you find your center of balance you can make your way to your feet. If you’re not comfortable with standing up paddle around on your knees until you gain a little bit of confidence. If you’re in the middle of the ocean it’s an entirely different fish to fry. So here is what you do – swim back to the shore and remount. Only kidding, face the side of your board (you’re perpendicular with it) and crawl back on. It’s surprisingly stable when mounting it from the side. Don’t try and mount it from the rear or the front, it’s possible to snake your way up but more often then not you’ll flip the board. You’ve made it from your knees to your feet and now it’s time to paddle. Unless you skied the correct posture may feel a little bit weird. Stand on your board shoulder width apart, with your knees slightly bent. Your feet should be parallel to one another and you shouldn’t be standing too close to the edges. As you gain momentum balancing on your board will become easier. One common mistake is that I see time and time again is guys or gals being so tentative so they don’t pick up any speed. This is a recipe for disaster. Finally, when you’re paddling it’s like driving a car – you don’t want to be starring directly in front of you. First off, it’s awful for your balance and like driving a car you’ll find yourself making tiny corrections all the time. Have you ever driven behind someone who constantly seems to be shifting back and forth between the lines? That clown is probably starring at his/her toes while he drives. When you’re paddling you want your paddle to remain as upright as possible. Obviously, it’s not going to be perfectly vertical but it should be pretty damn close. There are a couple of things you can do to achieve this. Be aware that the paddle should be upright and not off to a 45 degree angle. At first it will feel more difficult to paddle this way. As you’re paddling shift your weight ever so slightly to the side your paddling on. Let’s say you’re paddling on the right side you want your right rail to be lower than your left rail. This will allow you to get nice and snug to the boards edge, which in turn will allow you to maintain a very straight paddle. Buy a paddle that is the correct size for you. You should be holding the blade so it slopes AWAY from you. In the bottom picture, the top should be pointing in the direction you’re heading. It seems counter intuitive but they’re intended to be used in that manner. 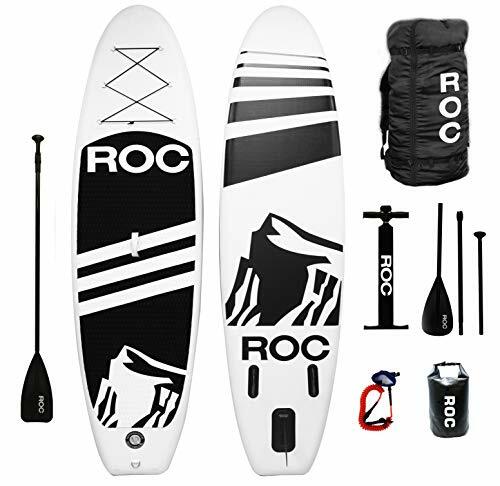 After spending $600-$1000 on a board it can be so easy to decide that you’re feeling broke and you’re going to spend $75 on a paddle. Unless you’re a strong guy or gal you’re going to regret this. Cheap paddles aren’t cheap in the sense that they’re flimsy or will break easily. They’re cheaper in the sense that they’re super heavy. Buy a decent paddle that is approximately 6″ taller then you. Or if you need to share a paddle get an adjustable one, but again look for a carbon fibre paddle. It’s going to be a few extra bucks but you’ll thank yourself for it. So you’ve mastered the basic stroke and now you want to turn it on a dime. You can do it the long way which is simply to use a side stroke. Instead of alternating strokes on either side you’ll want to stroke on the opposite side of the direction you want to turn in. Instead of pulling straight back pull back and away from your body. This help to drive the SUP around in a circle. Remember how we were discussing that large center fin and how helps to track? It also makes it more difficult to turn, a thruster setup or a quad fin setup is going to be easier to turn with. The back stroke is slightly more advanced than the side stroke but it’s still relatively easy. To perform this, pick up some speed and drop your paddle on the same side that you want to turn in. As you start to slow down begin stroking from just behind your heels stopping in front of your toes. This will allow you to turn in a tighter circle. Once you’re the majority of the way around – 120 degrees or so, switch sides and use the side stroke to finish the turn. This way you won’t overshoot the turn and you’ll have your momentum moving in the right direction. A pivot turn will allow you to turn your paddle board a dime. This technique will literally let you spin the board (very quickly I might add) while you’re basically standing still. The pivot is also the most advanced turning technique and can be difficult to master without a little bit of practice. It’s also pretty darn tough if you have a dog or person on the nose of your board. Start by figuring out which way you would ride if you were surfing or snowboarding. If you’re goofy footed it means you have your right foot forward, while regular is left foot forward. If you’re not sure try each style out, one of the styles will be way more comfortable then the other. Once you’ve established which way you ride, stop stroking and shift your left (or right) foot forward on the board. Once you’re setup in a surfers stance start to slide toward the back of your board. You ant as much as the nose to pop out of the water as possible. Start stroking on the opposite side that you want to turn in. This is a great video that demonstrates how effective this particular turn can be. The most important thing to always remember when you’re trying to turn on a paddle board is to keep the strokes short and quick. It doesn’t matter which style you’re using the stokes should always be short with a quick cadence. How Much Does a Paddle Board Cost? If you’re relatively new to the sport of paddle boarding you can start by renting a board. Because paddle boarding has grown in popularity in the past few years you can pretty well rent a board anymore. If you’re looking to get your own but you don’t want to spend a lot of money check out the top rated SUPs under $700. 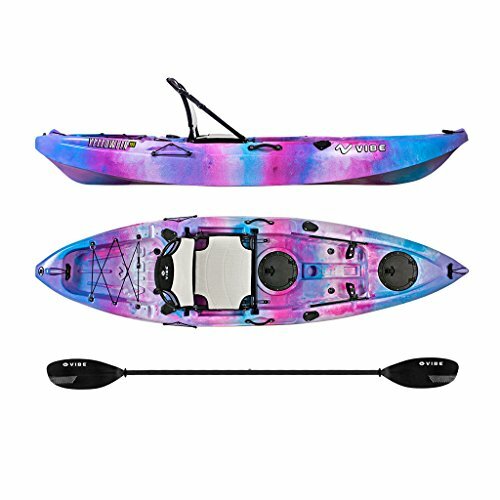 If you’re looking for a little bit more variety you can see our top rated stand up paddle board page. You can get a quality iSUP for $700-$1000. For a solid construction that is a little bit more on the higher end you’ll be looking at $1000-$1500. Once you start dabbling in touring and racing boards you’ll find the boards to be a lot more expensive.